Each year we try to get a little bit better, and looking back at 2018 I think we achieved that goal. Throughout the course of 2018 our 22 contributors produced 104 new podcast episodes, over 300 articles, 8 premium video lessons, 12 monthly themes, 6 member hangouts, and our new movement Library. 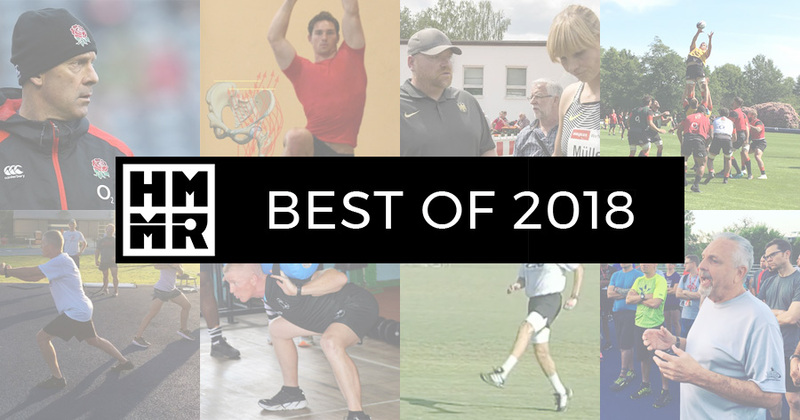 To help you sort through all the great content, we’ve assembled our top 30 articles, 10 podcasts, and 5 videos from the year, as well as some more highlights and links. If you want more, you can browse our archives and also check out our top posts from 2013, 2014, 2015, 2016, and 2017. Each month this year we focused on a different monthly theme. Find links to each monthly theme below, as well as our top new videos and podcasts. For more videos, become a HMMR Plus member and visit the HMMR Classroom. In addition to the podcasts listed below, also find a compilation of top throwing guests on Episode 186 and top athletic development guests on Episode 187. Lesson 15: Hip lock -Frans Bosch explains hip lock, how to address it in training, and walks through training examples. GAINtalk 5: Warming up (with Vern Gambetta) – Vern Gambetta shares his approach to creating both general and sport-specific warmups in his full-length DVD on the topic. Lesson 12: Mini-band exercise library – Steve Myrland demonstrates essential mini-band exercises. Lesson 13: Leg circuits – Examples of five intense leg circuits and progressions to develop strength away from the barbell. GAINtalk 2: Assessing trainability (with Randy Ballard) – The University of Illinois Associate Athletic Director for Sports Medicine explains their process for assessing sports-specific trainability of incoming and continuing athletes. Our roster of world-class coaches contributing to HMMR Media has grown to 22 this year, including 7 new authors: Warren Young (Associate Professor, Federation University Australia), René Sack (German national discus coach), Nick Hill (Director or Rugby, VCU), Chris Gallagher (Lead Strength and Conditioning Coach, Hong Kong Institute of Sport), Michael Bingaman (US alpine ski strength coach, US Ski & Snowboard) and Brett Bartholomew (Strength and conditioning coach, author). We’ve categorized our most popular articles by topic below.